There were once upon a time two young men who were very great friends, and were constantly together. One was a very thoughtful young man, the other very impulsive, who never stopped to think before he committed an act. One day these two friends were walking along, telling each other of their experiences in love making. They ascended a high hill, and on reaching the top, heard a ticking noise as if small stones or pebbles were being struck together. Looking around they discovered a large spider sitting in the midst of a great many flint arrowheads. The spider was busily engaged making the flint rocks into arrowheads. They looked at the spider, but he never moved, but continued hammering away on a piece of flint which he had nearly completed into another arrowhead. “Let’s hit him,” said the thoughtless one. “Oh, you are afraid,” said the first young man. “He can’t harm you. just watch me hit him.” So saying, he picked up an arrowhead and throwing it at Unktomi, hit him on the side. They started down the hill, when suddenly the one who had hit Unktomi took a severe fit of coughing. He coughed and coughed, and finally small particles of blood came from his mouth. The blood kept coming thicker and in great gushes. Finally it came so thick and fast that the man could not get his breath and fell upon the ground dead. The thoughtful young man, seeing that his friend was no more, hurried to the village and reported what had happened. The relatives and friends hurried to the hill, and sure enough, there lay the thoughtless young man still and cold in death. They held a council and sent for the chief of the Unktomi tribe. When he heard what had happened, he told the council that he could do nothing to his Unktomi, as it had only defended itself. Said he: “My friends, seeing that your tribe was running short of arrowheads, I set a great many of my tribe to work making flint arrowheads for you. When my men are thus engaged they do not wish to be disturbed, and your young man not only disturbed my man, but grossly insulted him by striking him with one of the arrowheads which he had worked so hard to make. My man could not sit and take this insult, so as the young man walked away the Unktomi shot him with a very tiny arrowhead. This produced a hemorrhage, which caused his death. So now, my friends, if you will fill and pass the peace pipe, we will part good friends and my tribe shall always furnish you with plenty of flint arrowheads.” So saying, Unktomi Tanka finished his peace smoke and returned to his tribe. 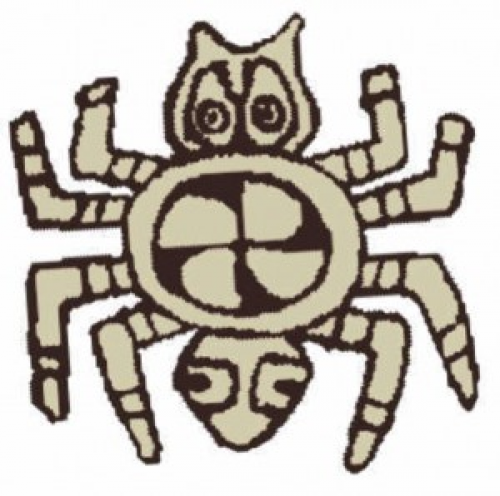 Thus it was that Unktomi Tanka (Big Spider) had the respect of this tribe, and was never after disturbed in his work of making arrowheads. Ah, Those Men in Black!